In every American election cycle, superlatives abound. In 2016, they have been predominantly negative: the election is characterised as the worst or most depressing ever, but some have emphasised that the nation has recovered before after divisive campaigns. As a historian, I am acquainted with explaining the present through the past: we evaluate similarities, continuities and changes to explain the state of today’s world. But what can we actually learn from the past regarding the 2016 election? Indeed, the two presidential candidates seem to embody the two sides of the Sixties, and sometimes choose to do so deliberately. In particular, Donald Trump has attempted to channel Nixon: ‘The ’60s were bad, really bad. And it’s really bad now. Americans feel like it’s chaos again,’ he stated. According to him, Nixon understood that ‘when the world is falling apart, people want a strong leader whose highest priority is protecting America first’. Consequently, Trump has depicted American cities as broken, as dangerous as Afghanistan, and uses a rhetoric of the ‘inner cities’ as ‘hell’ that echoes Nixon’s image as the safe choice for re-establishing law and order. However, historians Rick Perlstein and Todd Gitlin have emphasised that apart from channelling the fears of the white middle class, Nixon actually painted an optimistic picture of a future where progress would be attained through negotiation and compromise. Unlike the 1960s, we have not seen a significant rise in violence, crime, and urban riots or assassinations of political leaders such as Martin Luther King and Robert Kennedy. Far from the generational divide of the 1960s, millennials rely on their parents for economic support and counsel. 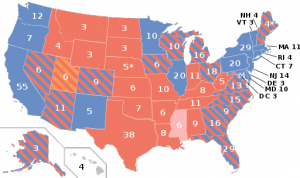 In addition, the Sixties’ political structure was significantly different: the Democratic Party was undergoing a major realignment that allowed Nixon to target Sunbelt voters while George Wallace as third-party candidate swept up the white supremacist vote. In contrast, voter entrenchment today means that both campaigns concentrate on battleground states where minor shifts can decide the national outcome. The 1890s: making America great again? Despite these significant difference, the comparison highlights that some themes are still strong enough in American political discourse to be reactivated by Trump. I argue, however, that we need to widen our focus to locate the roots of the other prominent themes in this campaign. The idea of drastically curtailing immigration and free trade that Trump claims to champion on behalf of a silent majority is actually grounded in the turn of the last century, a fact only few commentators have addressed. 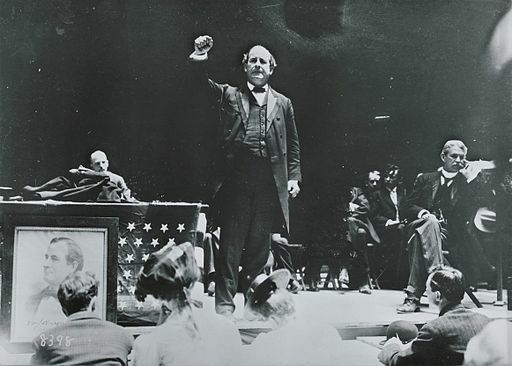 In the 1896 primaries, political underdog William Jennings Bryan was able to secure the nomination of the Democratic Party, which was then rooted in the South and rural areas. Following a financial crisis and a prolonged recession, he wanted the US to drastically alter its economic and monetary policies. Bryan promised to protect those hit hardest by economic change, the white (agrarian) poor and working classes, by replacing the gold standard with bimetallism. His vision of the future was looking backwards: he championed Jeffersonian ideals when American society was rapidly urbanising, industrialising, and diversifying. While immigration restriction and his turn to isolationism were not as prominent themes in his 1896 run as they were in his later years, he did shock the political establishment with his populist rhetoric that rambled against East-Coast industrial and financial elites supposedly hijacking the people’s will. With significantly fewer funds than his opponent, he skilfully captured the nation’s attention and used new media to his advantage. Although Bryan initially seemed to invigorate a party in decline, he lost immigrant and moderate voters to William McKinley whose conciliatory rhetoric embracing change and diversity won the elections in 1896 and 1900. Both the 1960s rhetoric of curtailing major social change, and the 1890s populist assurance that the people’s real will would prevail over the establishment, form the foundation of Trump’s relative success. We cannot explain Trump’s appeal without considering the American political discourse of the 1890s, as it addresses the anxiety of those losing out to economic transformation. 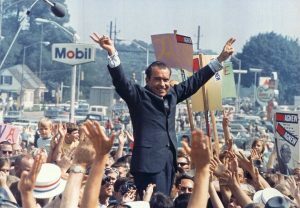 While Nixon had a positive vision for the future based in change that guaranteed the dominance of groups who seemed to lose out to racial and social reforms, Bryan promised a return to former glory. Now, can we deduce any lessons from this historical excursion? Such an attempt includes speculation, something historians normally hesitate to engage with. Bryan’s temporary victories resulted in a major realignment in the American party system, as his framing of the political discourse split the opposing party. Nixon, on the other hand, led his party to electoral victories as Republicans promised to restore the old order in a new guise. While these structural similarities can be identified, situational factors will shape the future, most importantly the demographic trends that are eroding the traditional Republican voting blocs such as non-college educated whites. The radical anti-establishment course of his voting base, however, could lead to a split between the Tea Party and Trump factions on the one hand, and evangelicals and moderate Republicans trying to win back moderates, women, and the growing Hispanic vote on the other. 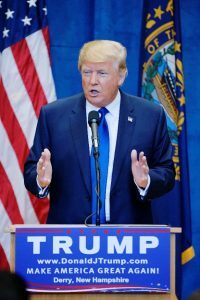 Trump’s relative success in reactivating some rhetorical traditions of American political discourse, however, indicates that economic inequality and globalisation’s fallout will continue to feature prominently in campaigns. Whether we will see a split in the Republican Party or a successful realignment, however, will only be answered by history. 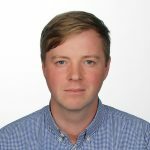 This blog is based on a lecture “Donald Trump and the value of historical comparison“, which will be given on 7 November 2016 as part of the Historical Studies lunchtime lecture series. This entry was posted in Global political economy, Governance and public services, Research and tagged 1896 US Presidential Election, 1968 US Presidential Election, Democrats, Donald Trump, elections, government, historical comparison, politics, Republicans, Richard Nixon, US Presidential Elections 2016, William Jennings Bryan by policybristol. Bookmark the permalink.